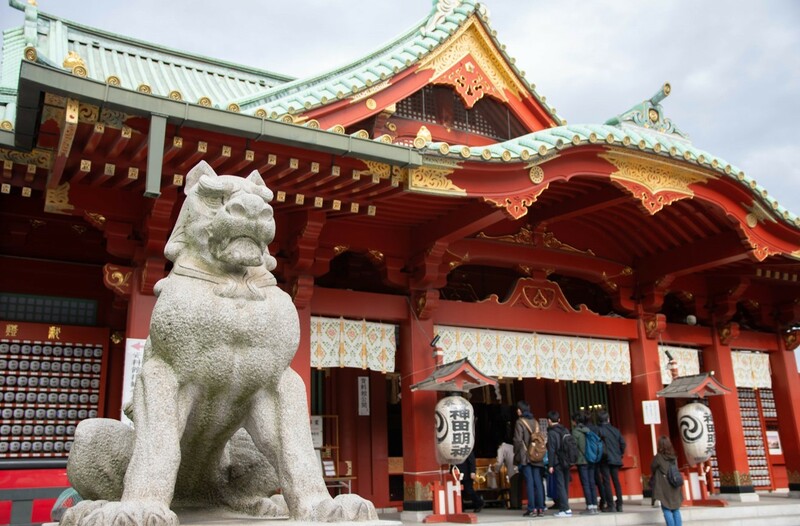 There are about 2,000 shrines in Tokyo. Among them, “Kanda Myojin” is one of the famous and unique shrine. Despite the history of protecting the people in Edo, it appears in some collaborated popular animation such as "Love Live! ", etc. 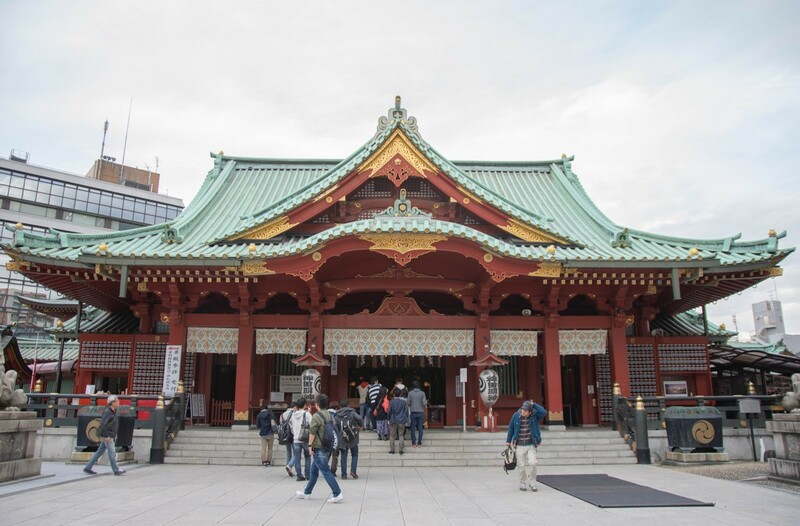 Let's check the history and attractions of Kanda Myojin! It was founded in year 730. 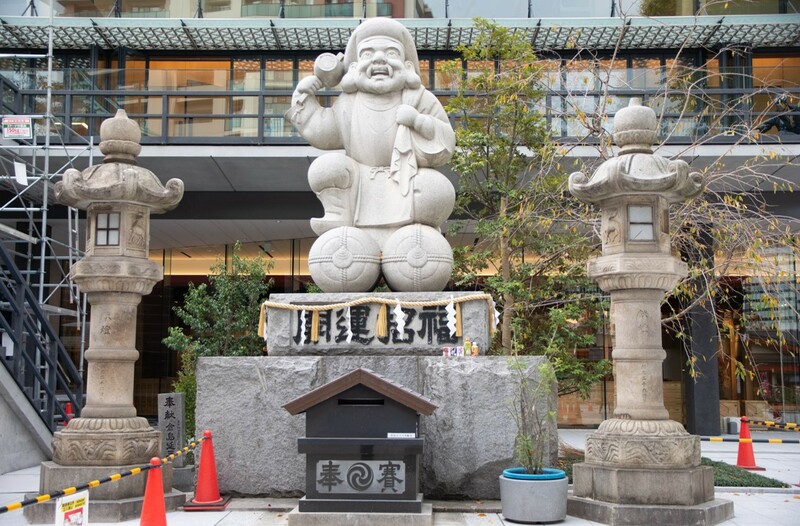 During Edo period, the shrine has gathered faithful devout from the general and the common people as the role of "Edo Sochinshu" (a shrine protecting the whole Edo). 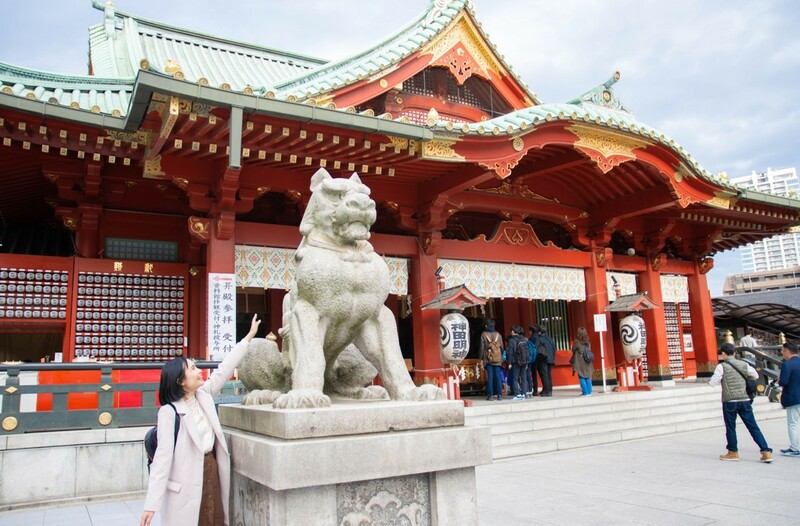 It is within walking distance from Akihabara, and until now the shrine is crowded with visitors and prayers as it is a shrine that protects areas such as Tokyo(Kanda, Nihonbashi, Akihabara, Otemachi and Marunouchi). 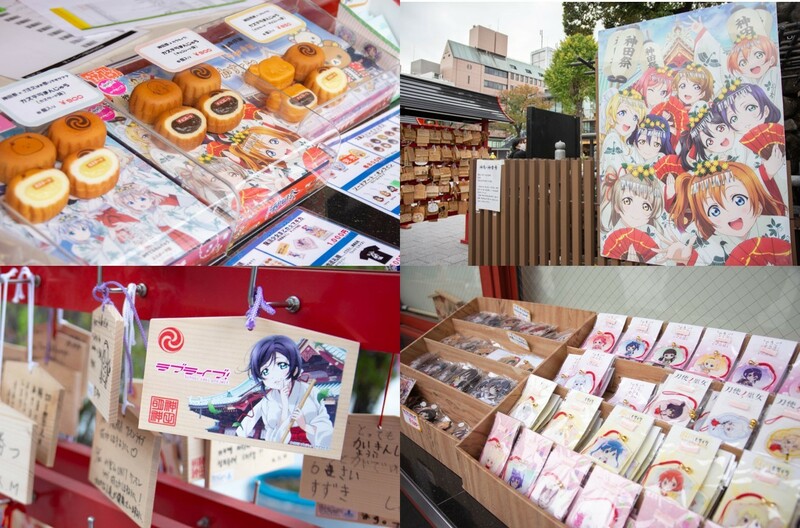 Besides protecting Akihabara, Kanda Myojin also playing an important role in Animation. 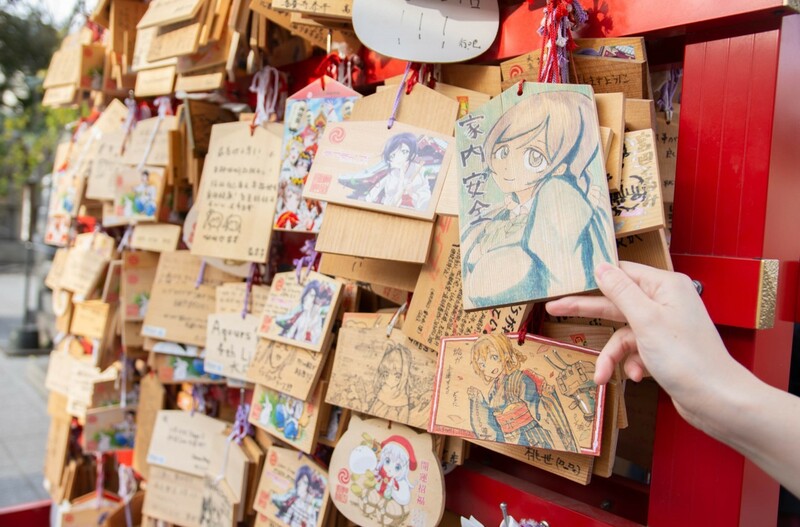 Especially, since the shrine appears many times in the idol themed anime of "Love Live! ", the shrine is deeply bounded and therefore you can see votive picture, sign board, goods and so on at here. Also, since many animation fans gather at here, you cannot miss to see the “moe ema” (cute votive picture) at here. The scenes in which lined up with votive picture illustrations is unique even in Japan. Behind the tori(sacred gateway) is Kanda Myojin's "Zuijinmon". It is built based on the supervision of Mr. Kitamura Seibo, who is famous as a producer of Nagasaki peace memorial statue. The shrine which is after Zuijinmon was the main hall which was completed in 1934. 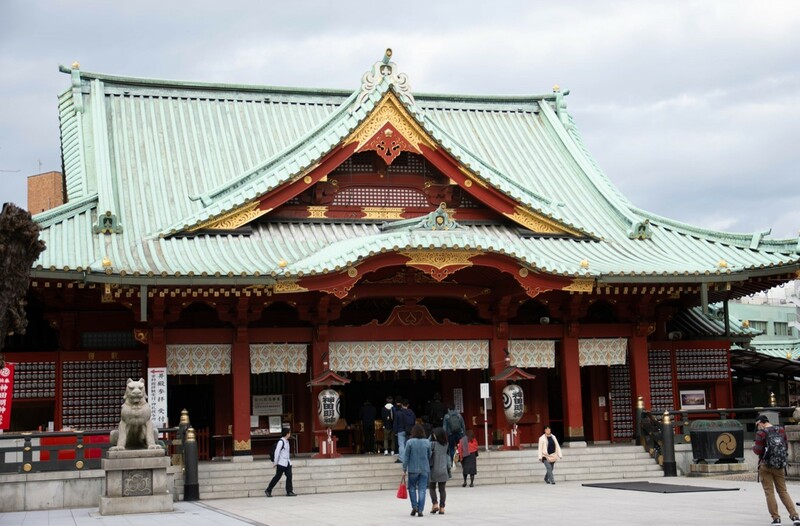 The characteristic of the shrine is the steel reinforced concrete which is new developed technology during that time, and the vermillion lacquering. A very magnificent guardian dog statue. It is very rare to see a stone guardian dog that faces to the front of shrine. Daikoku who is said to be the god of match making. It is the largest stone building in Japan with 6.6 meter height and 30 tons weight. 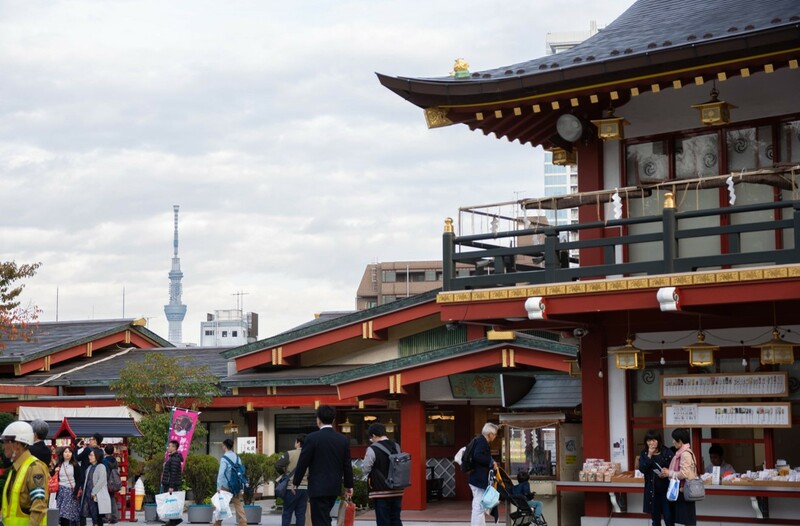 If the weather is nice, you can view Tokyo Sky Tree from the shrine! 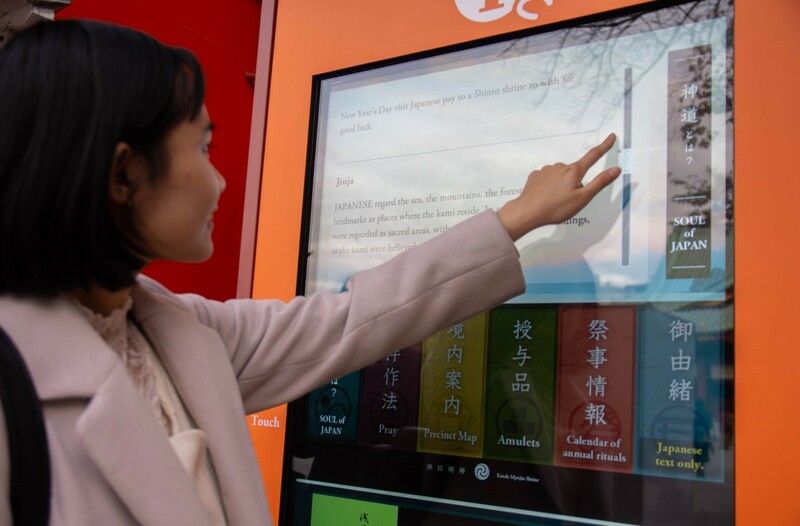 On the electric display board in the shrine area, you can read the method of prayers and also the history. (Japanese and English only). 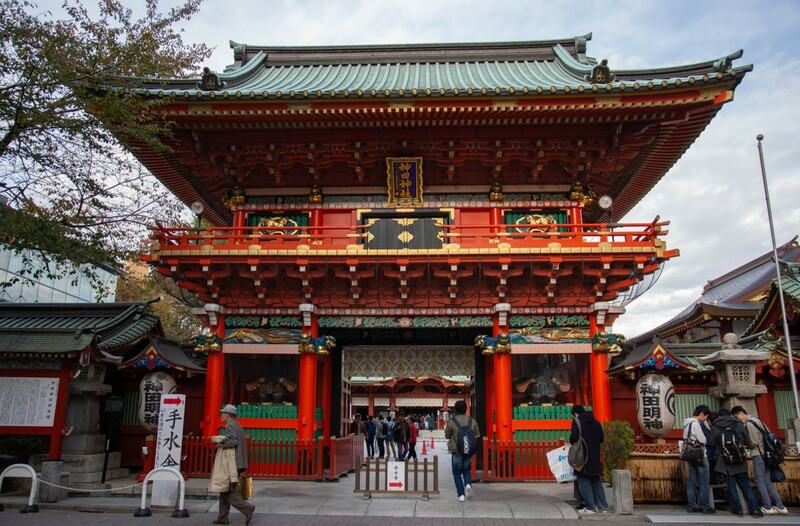 Kanda Myojin has convenient access from downtown area with history and culture sensation. 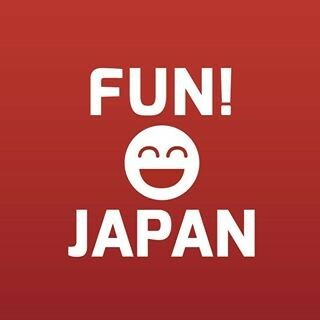 Let's stop by to visit during your sightseeing trip in Tokyo.